I don’t know about you, but I’m on my computer way too much. When I finally sign off of my computer for the day, I then transfer my online addiction to my cell phone. Always checking my texts, my Instagram feed, Facebook, Pinterest, emails, and whatever else. I’m not sure why I’m so compelled to stay in-the-know so much except for the fact that I am a blogger. 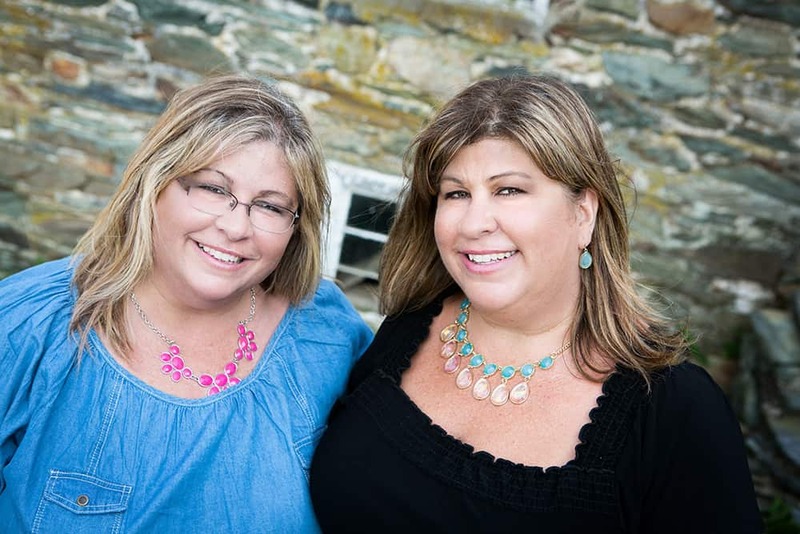 Social media is a big part of a blogger’s life. Anyway, after a long day, my favorite thing to do is to turn off the computer and cell phone and put something on TV (there goes that screen time thing again). But I don’t actually watch the TV. I’m kind of comforted by just the sound of it. The show has to be something that’s quiet. No screaming, cheering, or singing going on. It’s usually a Dateline mystery. Then I break out my magazines and start flipping through the pages. It’s the best feeling when I turn the page and find a recipe or DIY project that really inspires me. That’s when I rip out the page and save it for when I can make it. Hence, the reason for this post. 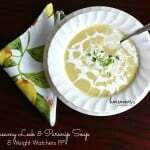 I really enjoy finding recipes that look delicious AND that are Weight Watchers friendly. This recipe came out of the Fall issue of All You Magazine. 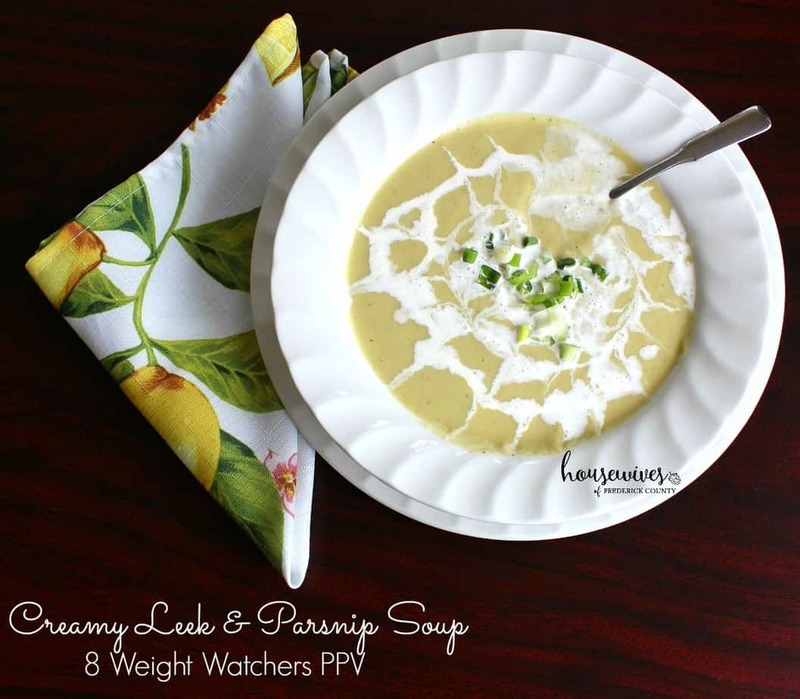 I LOVE potato leek soup, so I figured I’d really like this creamy leek & parsnip soup just as much. I had never eaten parsnips before in my life. They are a root vegetable resembling yellow carrots but part of the parsley family. And to be honest they kind of taste like parsley. 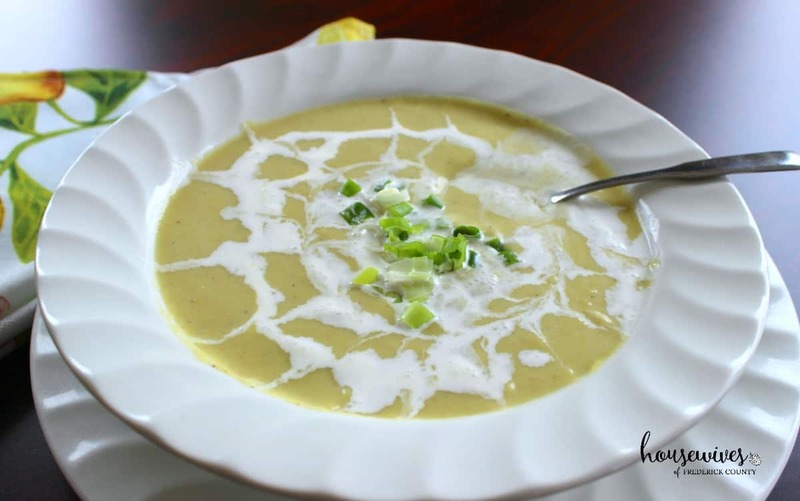 Parnips have a very distinct taste to them, so make sure you like the taste before you make this soup. After cooking the sliced leeks and parsnips in chicken broth, I pureed the mixture in my Magic Bullet. It’s so much smaller than a blender and, to be honest, much quicker. Plus, the clean-up and storage is much easier than a big clunky blender. 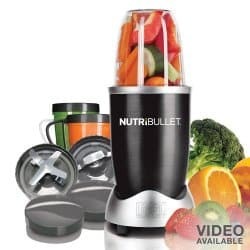 You can find the Magic Bullet Nutribullet on Amazon, their # 1 best seller. To date, it’s gotten 5,529 reviews averaging 4 1/2 stars. That’s impressive! I added a little bit of heavy cream on top of the soup to give it a little extra pizazz. Yeah, I’ve never done that creamy swirl thing before. It didn’t turn out as good as I had hoped. If you ever want to try it, it’s super simple. You just pour the heavy cream into a squeeze bottle (I didn’t have one. 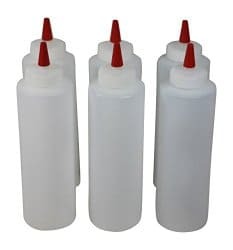 Need to get one), like these Plastic Squeeze Condiment Bottles from Amazon. Shake the cream up really well. Then start your swirl from the center out. After you create your swirl, use something sharp like a knife to ‘draw’ diagonal lines from the center of the swirl out. It’s supposed to resemble a spider web design. Add leeks, parsnips, salt & pepper. Cook, stirring often, until softened but not browned, about 10 minutes. Pour in 4 cups broth, increase heat to high and bring to a full boil. Reduce heat to medium-low and cook partially covered, stirring occasionally, until veggies are very soft, about 30 minutes. Return soup to saucepan and stir in cream. Warm over low heat and season well with salt and pepper. Thin with remaining broth if soup is too thick. Ladle into warmed soup bowls. Garnish with a swirl of heavy cream & a pinch of chives and serve. 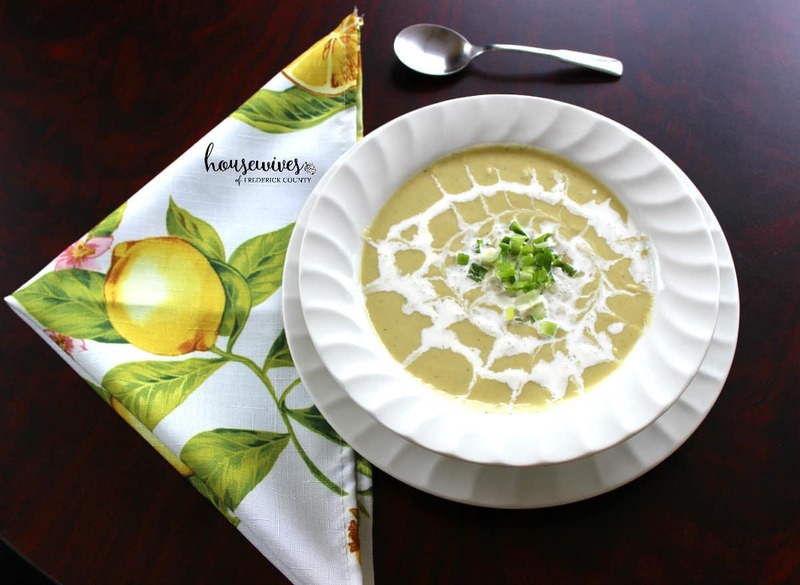 Making this soup has inspired me to make other creamy soups. It was really good and easier to make than I thought it would be. 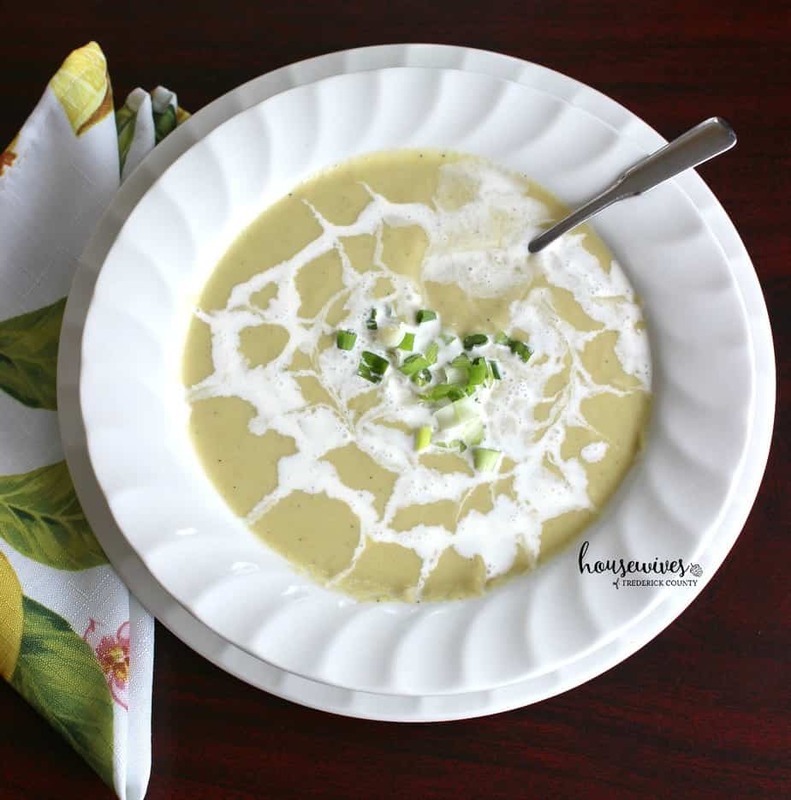 What are your favorite soups to make? We’d love for you to let us know in the comments!